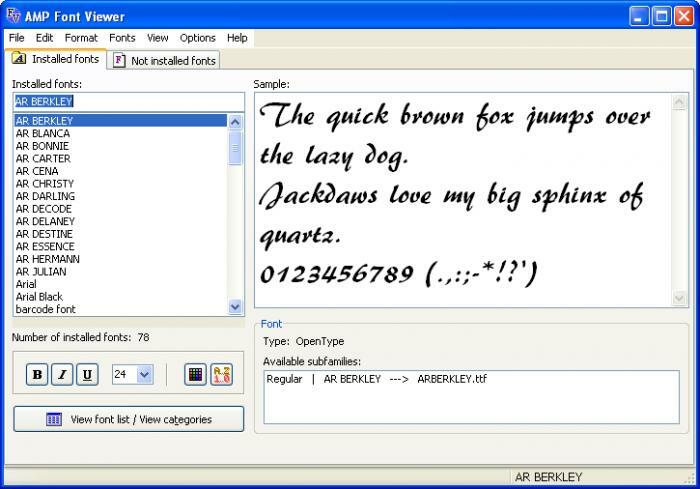 This program is an easy to use but powerful font manager, which allows you getting a quick overview of both installed and non installed fonts. It can install and uninstall fonts, and organize them in categories. Features -------- - Supports TrueType and OpenType fonts.